Happy Color Snack Sunday, friends! 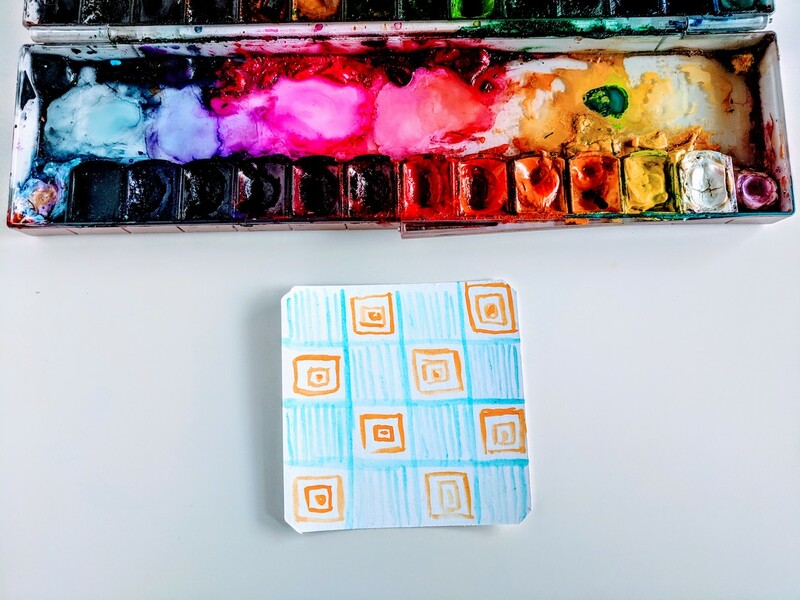 This week’s color snack is how to sketch an easy pattern for a watercolor zentangle! 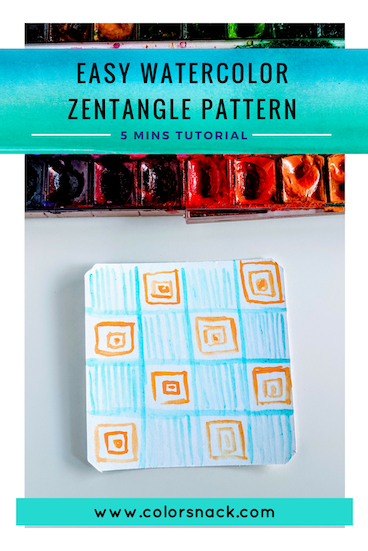 You may have heard of Zentangles before. It’s essentially a way of drawing structured shapes as a way to relax or increase focus. It’s a more structured form of doodling. Step 1. Sketch vertical lines. Split your square into 4 parts by sketching 4 vertical lines. It’s ok if they’re not perfectly straight or not equally distanced from each other. This exercise isn’t about precision but rather about relaxation and playfulness. Next, sketch your horizontal lines in a similar fashion: 4 lines. Next, fill out every other square with tiny lines inside. Again, it doesn’t matter if the lines aren’t perfectly straight or the actual number you can fit in the square. Feel free to adjust this watercolor zentangle pattern to your own taste. The rest of the squares I am filling up with smaller squares inside each other. You can switch up the color (I am using orange from Prima Watercolors). You can adjust the color scheme as you like.